ARTIFICIAL INTELLIGENCE: An Introduction to Learning Human Emotions Through Intelligent Data Processing. 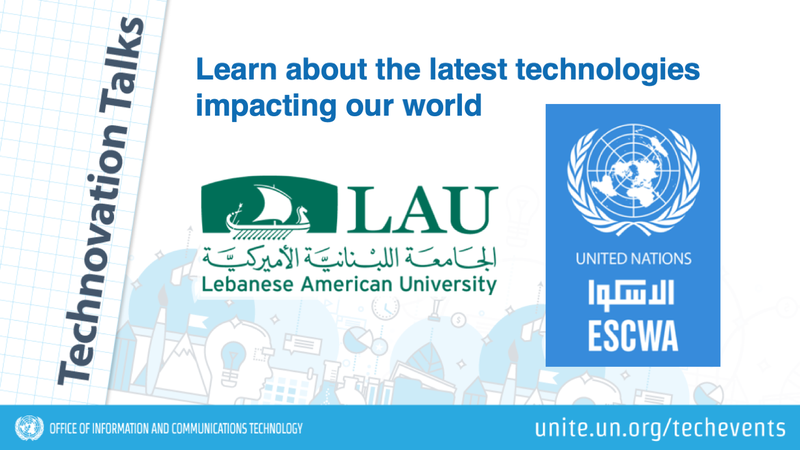 UNITED NATIONS OFFICE OF INFORMATION AND COMMUNICATIONS TECHNOLOGY, UNITED NATIONS ECONOMIC AND SOCIAL COMMISSION FOR WESTERN ASIA, IN COOPERATION WITH THE LEBANESE AMERICAN UNIVERSITY. What is Artificial Intelligence (AI) and how it works? This talk provides a brief overview to concepts such as general and narrow artificial intelligence, as well to practical uses of AI in the present and near future. The presenter will explain AI techniques allowing to recognize, interpret, process, and simulate human emotions such as happiness, sadness, fear, and surprise – called Affective computing. Textual and more recently multimodal emotion analysis has been gaining increased attention, with various applications ranging over opinion mining, blog analysis, and client feedback on the Web and social media, improving human-computer interaction and decision making, as well as therapeutic and social emotion analysis to help autistic children express their emotions. This talk will provide a practical introduction for participants with little or no computing background. Joe Tekli is an Assistant Professor in the ECE Department, and Interim Assistant Dean of the School of Engineering, Lebanese American University (LAU). He holds a PhD in Computer Science from the Univ. of Bourgogne (UB), LE2I CNRS, France (2009), awarded with Highest Honors. He has completed various post-docs and visiting scholar missions: in the Univ. of Milan, Italy (Fall 2009), in the Univ. of Shizuoka, Japan (Spring 2010), in ICMC, Univ. of Sao Paulo (USP), Brazil (2010-2011), in the Univ. of Pau, France (Fall 2012-16), and in the Univ. of Michigan, USA (Summer 2018). He was awarded various prestigious fellowships: French Ministry of Education (France), Fondazione Cariplo (Italy), JSPS (Japan), FAPESP (Brazil), AUF (France), and Fulbright (USA). He has coordinated and participated in various international research projects including CEDRE (2012-13), STICAmSud (2013-14), NCSR-L (2016-17), LAU-NCSR-L (2018-20), and FAPESP (2016-20). His research covers XML and semi-structured data; multimedia data semantics, data-mining, and information retrieval, and has more than 50 publications in prestigious international journals and conferences. He is currently serving as the Vice Chair of the ACM SIGAPP French Chapter. The TechNovation talks feature specialists from academia, private and public sector who explain cutting-edge technologies and their possible uses in education, health, industry, agriculture, and other sustainable development sectors. Please use the link below to register. This event is not open to the general public. All personnel from the United Nations Agencies Funds and Programmes are invited.